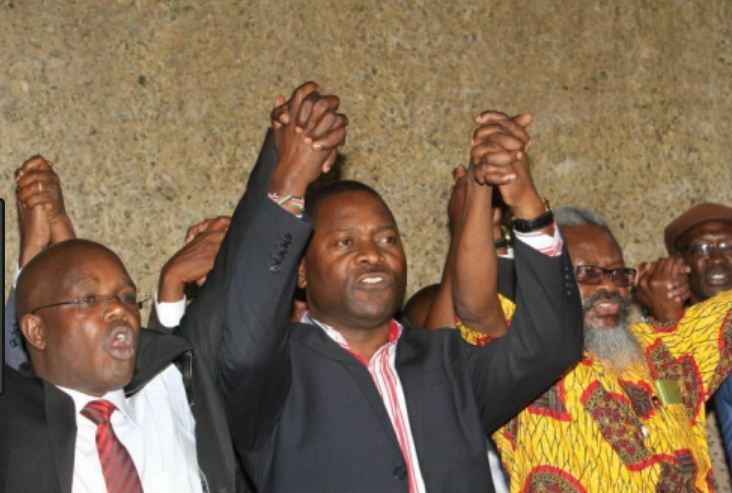 Latest statement on 2018 University lecturers strike in Kenya over CBA implementation: The wrangles between the government (ministry of education + SRC) and University Academic Staff Union(UASU) plus Kenya University Staff Union(KUSU) seems not to come to an end as the two unions have once again issued a strike notice that will begin on the night of 1st March 2018 if the government does not implement the CBA. The two unions want a 150% salary increase and 100% house allowance for the staff which is supposed to be increased over a period of four years. The lecturers had called off their strike on December 2017 after the government promised to partly implement their collective bargaining and agreements (CBA), a promise which seems not to have been honored. Further negotiations over the CBA between the government and the unions were supposed to take place this month but failed as the government asked for more time to put its house in order. KUSU has accused the government of negating to implement the CBA. The Kenya University Staff Union went ahead to argue that the ministry of education is not even willing to table a counter proposal. The KUSU Secretary General Charles Mukhwaya issued a statement indicating that the university staff will go on strike from Thursday 1st March 2018 until the CBA has been fully negotiated and implemented. If the Kenyan government does not intervene by 28th February 2018, then the university staff will down their tools in the wake of 1st March 2018.